When I was a kid, my favorite book was my dad’s geology text. I spent hours and hours leafing through the pages, studying drawings of fossils and dinosaurs, losing myself in the geological time scale, sounding out “Carboniferous” and “Silurian”. Mostly, when we think of fossils, it’s dinosaurs and trilobites. Something preserved in rock. Extinct. But what if some of those ancient creatures still lived among us? Would we recognize them? 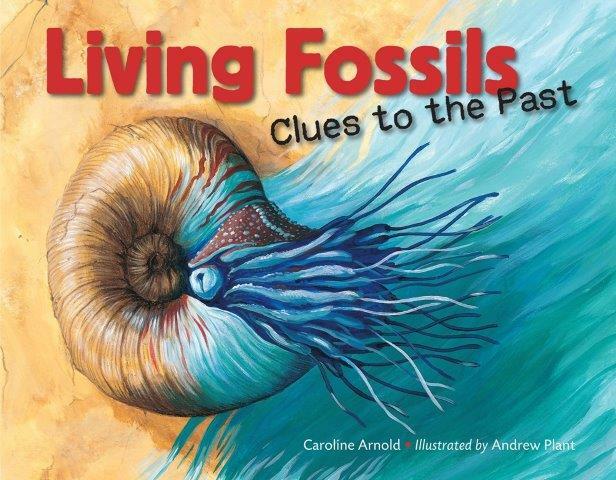 In this book, Caroline Arnold shows us six amazing creatures that resemble their long-gone, ancient relatives. She shows us where they live, how they survived extinction, and what their future holds. One of these “living fossils” is the horseshoe crab. One hundred fifty million years ago, horseshoe crabs had hard shells and long tails. They crawled up on sandy beaches to search for worms and shellfish to eat. Not much has changed in the intervening millennia… if you visit the east coast on a warm summer night when the moon is full, you’ll probably see hundreds of horseshoe crabs pull themselves onto the beach. They’re digging nests and laying eggs, just as they did millions of years ago. You don’t need to drive to the beach to find a living fossil; just head outside to a wetland or meadow and look for dragonflies. These keen mosquito-devouring aerial hunters are the great-great-great-/…/ great-grandchildren of dragonflies that lived 280 million years ago. Over time things changed, like size. Back then, dragonflies were a lot bigger – about the size of a crow! 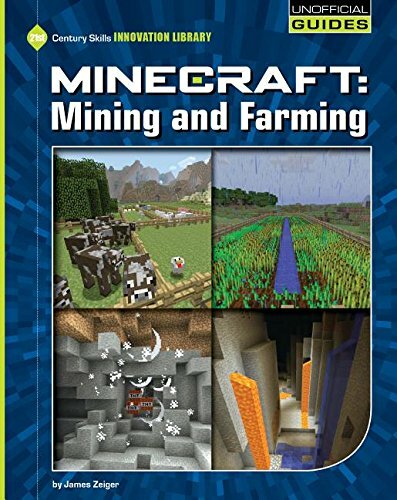 Booktalk: Learn all about the many resources found in the world of Minecraft, from how they are gathered to what they are used for. Snippet: In the world on Minecraft, you can accomplish great things as a player. You can venture deep into unknown forests, and across oceans and islands. You might build towering castles and raise vast farms. You may even find yourself defending your home against dangerous creatures. With possibilities so open to the imagination, it can be a challenge to decide where to start. We use our eyes to see the world – and so do the animals living around us. They use their eyes to see shapes, colors, movement, size, distance. They’re on the lookout for danger and sometimes mates. The cool thing – we all have eyes, but our eyes look different. Not only that, some animals have different ways of seeing the world. 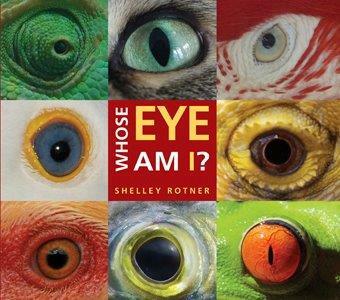 This book presents information through photos and text, and invites readers to explore through interactive pages that ask, “Who am I?” We get up-close looks at dog eyes, cat eyes, owl and pigeon eyes. We meet frog eyes and snake eyes and learn interesting things such as snakes can’t close their eyes. Not only that, when they shed their skin they shed their eyelids too. Imagine if we did that! My favorite: a close-up of a dragonfly’s eyes. 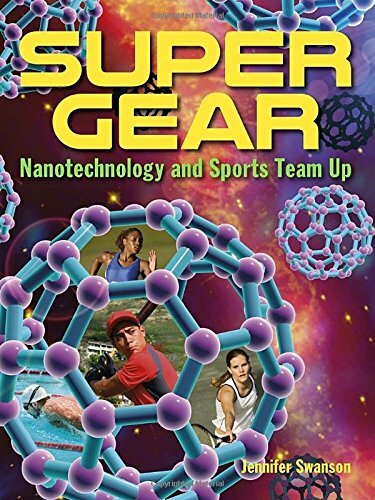 Booktalk: Take a close-up look at sports and nanotechnology, the cutting-edge science that manipulates objects at the atomic level. Nanotechnology is used to create high-tech swimsuits, tennis rackets, golf clubs, running shoes, and more. It is changing the face of sports as we know it. Snippet: What do Michael Phelps, Serena Williams, Michelle Wie, and Usain Bolt have in common? All of their equipment was made with nanotechnology. Nanotechnology is the science of things at the nanoscale. It deals with microscopic particles called nanoparticles. Most people measure things in terms of meters or feet. Nanotechnology engineers measure objects in nanometers. Nano- means “one-billionth,” so a nanometer is one-billionth of a meter. Meet Jennifer Swanson (and me!) at the Cool Science panel at the ALA Annual Book Buzz stage 10:30 – 11:15 on Saturday, June 25. We’ll talk about bringing contemporary subjects and science in action to classrooms and libraries. Animals walk, leap, climb, and swim. Some roll or turn flips. Others fly or glide, and a few are even jet-propelled. There are so many ways to get around, and a good chance you’ve only seen a few of them. For example, have you ever seen a walking octopus? It has eight legs, but uses only two of them to walk along the ocean floor. This is a book full of ACTION! Animals leap, tumble, climb, glide, tiptoe, scramble, cruise, slither, and dive. To do those things, they need adaptations that allow that sort of movement. Like tube-feet, fins, between-the-toes webbing, and spring-loaded legs. 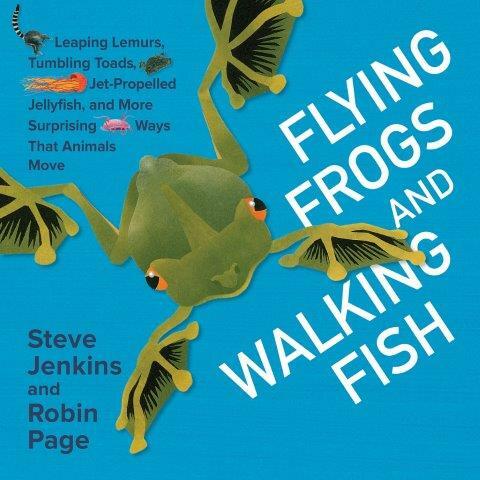 What I like about this book: the large print verbs introduce a collection of animals that move in similar fashion, and the paper cut illustrations that show how each animal is adapted for that motion. For example, a red-lipped batfish waddles across the sea floor on its fins. A flying squirrel uses skin flaps to capture air for gliding. And jumping spiders…. they can leap 50 times their own body length. Talk about moving! Head over to Archimedes Notebook for some hands-on beyond-the-book activities. 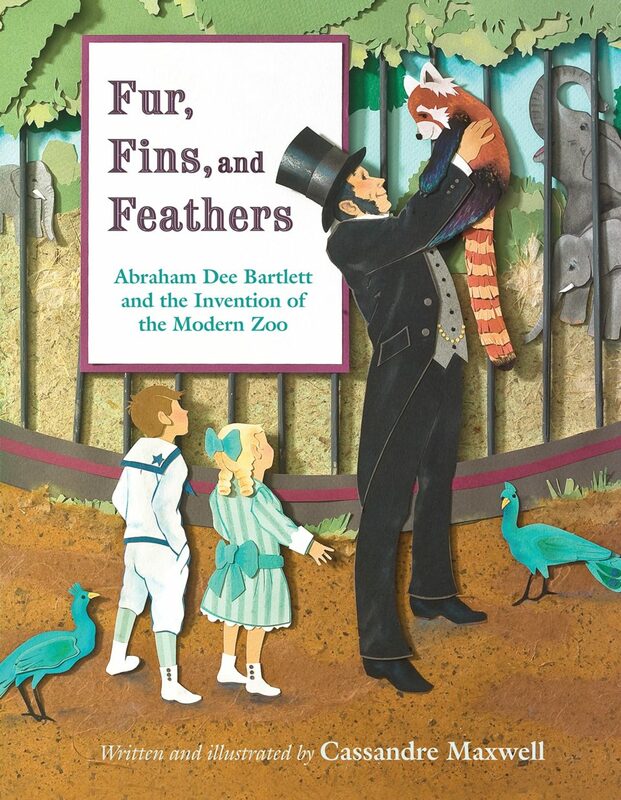 Booktalk: Abraham Dee Bartlett knew from a young age that he wanted to spend his life working with animals. But in Victorian London, there weren’t many jobs that provided an opportunity to do that. Still, Abraham spent years gaining knowledge and pursuing his dream until he eventually became superintendent in the London Zoo. Driven by his compassion for the animals, Abraham dramatically improved the conditions of the zoo to ensure that the animals could be happy and healthy. Snippet: From the time he was a little boy, Abraham Dee Bartlett loved animals. He was fascinated by anything with furs, fins, or feathers.